We provide well-being, drug free, lifestyle changing tools, simple, easy, conscious evolving practices and transformative techniques to help you awaken to peae, happiness, harmony, wisdom and truth. 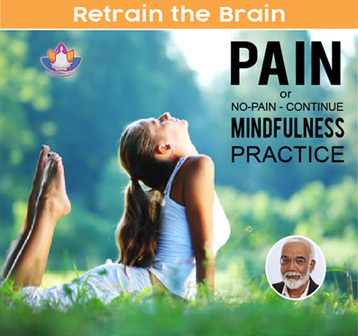 Our services in the field of mind-body non-pharmaceutical, well-being and illness management for the last 38 years., Girish Jha has helped improve the quality of life for patients suffering from psychological disorders (ADHD, PTSD, and anxiety) and physical disorders (including Muscular Dystrophy, various forms of cancer, and debilitating pain). His patients come from all walks of life (technologists, engineers, public servants, politicians, diplomats, teachers, adolescents, engineers, and doctors}. He guides patients to move from the state of PAIN to one of PEACE (which can lead to improved PROSPERITY). PAIN includes the areas of mind, body, and spirit for patients. The impact from PAIN can cause one or more of the following symptoms: anxiety, anger, panic, grief, chronic pain, and physical pain, and asthma, obesity, under achievement, family conflict, nd lack of self-esteem. He has studied world religions, eastern psychology, hundreds of traditional practices, under the tutelage of 50 Himalayan masters, in addition to his formal education in physics, chemistry, psychology and physiology. The eastern wisdom is 6000 years old. More than 3000 masters have taught thousands of practices to millions of people. These practices help manage pain, achieve well-being and peace. It is easy to understand the problems and sufferings of life, when they are organized in a pattern. We have named this pattern as P.A.I.N. P – PRESSURE - Pressure of anything from outside or inside that causes physical, mental, emotional, social changes. A – Anxiety - Any pressure causes anxiety. When pressure increases and resources deplete, we experience discomfort and pain. I – Intimidation - Continued pressure and anxiety intimidate us. It causes fears – fear of loss of wealth, possessions, love, relationship, job. N – Negative attitude/ expressions - When pressure, anxiety and fears work together in life, it expresses itself in negative attitudes, expressions at home and work. P.A.I.N. - disturbs the equilibrium in life. We experience absence of inner peace, calm, rest, happiness and wisdom. This leads to many illnesses, which we all are aware. More than 80 % of illnesses caused due to stress. The silent metabolic syndrome may cause hypertension, rise in blood, diabetes, heart stroke etc. Science says that meditation/ mindfulness practices have been shown to help relieve anxiety, stress, fatigue, general mood and sleep disturbances (8 Things to Know About Meditation for Health). Meditation based programs are considered safe. There are evidences that it may reduce blood pressure, common menopausal symptoms, and help people with irritable bowel syndrome. Recent advances in neuro science suggests that change in mind fires the brain and rewires it. This process brings profound changes in behavior, attitude and personality. Mindfulness/ meditation combined with many subtle practices can help manage pain and achieve well-being. We personalize a program/ course depending on physical and mental conditions of participants. Researches have demonstrated that regular practice protect DNA from stress related malfunctioning. Eastern wisdom methods of meditation releases negative emotions that reduce productivity, creativity and decision making skills. Regular practice develop growth-mindset and discovers inner peace and happiness. Girish Jha, MS, BS helps you to find out, what blocks your progress. He selects practices that are most suitable for you.